A gourmet milkshake maker had to come up with a new moniker after hearing from an American fast food chain, but the owner says it was for the best. 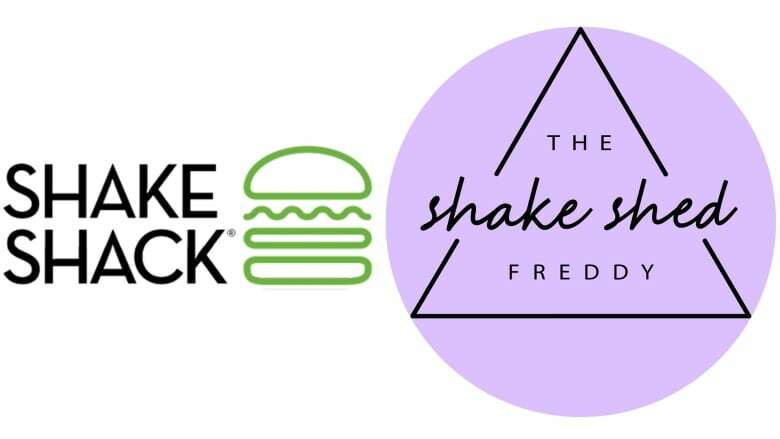 Fredericton's new milkshake shop’s original name was the Shake Shack. A Fredericton milkshake shop had to come up with a new moniker after hearing from a U.S. fast food chain, but the owner says it was for the best. Julia Gilliard originally named her gourmet milkshake shop Shake Shack, but had to think of something else when the fast food chain of the same name told her to stop. "I'm typically not someone who takes stress very well, but getting that letter has actually made me grow a lot as a person, so if I can get that and deal with it, I can pretty much deal with anything," said Gilliard. Gilliard's husband owns his own business, and starting a business of her own had been a dream of hers. With eight years as a baker at Costco, a shake shop seemed the right fit. Gillard said she hadn't travelled much and didn't know about the U.S. chain. She based the name on her original plan to have a little shack at the Northside Market. "Calgary is the extent of my travels, so I was like, 'Oh, I'll just name it the Shake Shack,'" said Gilliard, who is originally from Saint John. "I had no idea anything that would come afterward." Gilliard hadn't done much branding with the original name, but she did have to redo her store sign. Gilliard decided to not deviate too far from her original vision, so she changed the name of her shop to the Shake Shed. Her husband came up with the new brand. Gilliard said that since she began selling her frothy, elaborate creations, often topped with an entire piece of cake, business has been great, and she's even had to hire more staff. The 27-year-old was inspired to start the shop after seeing a similar gourmet spot in Calgary. Gilliard had already been considering starting her own business, so the idea of specialty shakes hit home. "At the time I thought, I wish New Brunswick had more stuff to offer," said Gilliard. "I was like, 'Why don't I just bring that to market here?' … Little did I know that starting a business is very difficult and there's a lot more than I bargained for, but I have no regrets." Along with classic flavours like vanilla and chocolate, the shop sells gourmet flavours such as the New Yorker, which has a full piece of cheesecake as a topping, and Ode to Oreo, topped with full Oreo cookies. Gilliard plans to keep the Shake Shed open in the winter as well, with some seasonal menu adjustments.